Police departments around the country are purchasing body worn cameras (BWC) at an accelerating pace. Prosecutors should get involved in this process as early as possible. Here is a brief overview of some of the issues prosecutors may consider. Also attached is a selection of model policies, articles and reports that provide more detailed information. Who is Using BWC? Reach out to your police departments. Are they buying body worn cameras? Are different departments using different technologies? Are they developing different policies? BWC Policy: Get involved in the development of the BWC policy. When should the officer record? Are the recordings tagged with incident or arrest information and if so, how? How and when does the prosecutor get access to the recordings? Where and how are the recordings stored and for how long? Discovery and Evidence: Develop procedures within a prosecutor’s office. Who will gather and review the recordings? How does a recording get associated with an arrest? When and how are the recordings turned over to the defense? When and how can a recording be redacted? Stakeholder Meetings: Consider convening stakeholder meetings about BWC. Assess how to respond to a freedom of information request for a recording. When should recordings be released to the public? California District Attorneys Association (February 22-24, 2016, Anaheim California). Click here. 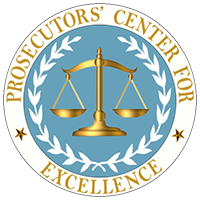 California District Attorneys Association and Prosecutors’ Center for Excellence (7/14/2015). Click here. The Colorado Best Practices Committee for Prosecutors (February 2015). Click here. Washington Association of Prosecuting Attorneys Best Practices Committee (6/29/2015). Click here. NDAA, Route Fifty (9/20/2015). Click here. NDAA, Route Fifty (10/15/2015). Click here. NDAA, Route Fifty (11/23/2015). Click here. Bureau of Justice Assistance BWC Tool Kit: Click here. Digital Communities (September 2015). Click here. ACLU (May 2015). Click here. Abrams Institute (December 2015). Click here. City of Baltimore (2/18/2015). Click here.